» How can we prepare students today for the world of tomorrow? How can we prepare students today for the world of tomorrow? 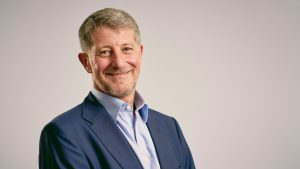 This blog piece has been written by Dr Paul Feldman, Chief Exective at Jisc, a speaker at our event on how we can prepare students today for the world of tomorrow. The fourth industrial revolution, is a term coined by World Economic Forum founder Klaus Schwab to describe the wave of innovation driven by emerging technologies like artificial intelligence (AI) and robotics. This is the world ushered in by the internet of things – where everything from your toothbrush to your toaster has a chip in it, and everything is connected. For all the hype, it represents a real shift in technology capability that will change the world around us, just as previous revolutions transformed our ancestors’ lives. Existing industries and professions will be transformed, with robots potentially taking some jobs particularly in manufacturing and healthcare. But Industry 4.0 – as many call it – will also see the creation of new jobs, from drone engineers to DNA editors. In 20 years’ time, it is estimated that 90% of all jobs will require people to work with digital technologies. Already, 72% of large firms struggle to recruit workers with the digital skills they require. Yet, our recent survey of 37,000 students across 83 institutions revealed that only 41% students feel their course prepares them for the digital workplace. It’s particularly worrying that we can’t seem to equip students for the jobs of today, let alone Industry 4.0 and the new jobs it will bring. This is why we need a corresponding response in the education sector – an Education 4.0 – not only to meet the needs of industry and business, but also to ensure that universities and colleges are delivering the best possible student experience, and making the best possible use of institutional resources, including staff, estates and facilities. Our educators need to ensure that they understand the types of skills that will no longer have value – the mundane, the repeatable, the predictable – and in turn the skills that will be in greater demand – highly developed interpersonal, AI manipulation, big data – as well as those needing dexterity, and adjust their curricula accordingly. We also, as is well trailed, need to instil an ethos of lifelong learning, retraining and multi-faceted careers in our young people so they have the capability to adapt as the world changes around them. So, what could Education 4.0 look like? With machines potentially outperforming humans for tasks that rely on retaining knowledge, the onus is now on more active forms of learning that develop softer skills, including collaboration, creativity and critical thinking. 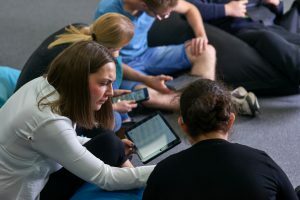 A push towards more active forms of learning could threaten the dominance of the lecture for the first time in 1,000 years, bringing the human back into teaching. And teachers could also be liberated by technology from the drudgery of bureaucratic admin tasks, giving them more time for valuable, personal interactions with students. We could also see more personalised adaptive learning that takes learner diversity, performance and behaviour into account. Important, high-stakes tests could become a thing of the past, replaced by AI-assessed micro-credentials, enabling truly life-long learning. This is something that will be vital for up-skilling the workforce mid-career so that we can meet the challenges of Industry 4.0 and fill the technical skills gap. Our education estates could also be reshaped through new technology into intelligent, flexible campuses, responsive to student interactions. 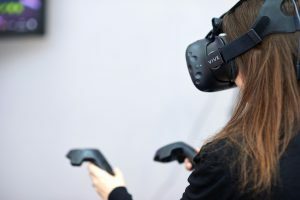 And on vocational courses, mixed reality technologies are already offering students a safer, cheaper and more efficient way of developing skills on a range of equipment, allowing them to progress more quickly. How far we go along this path is down to our institutions. At one, and in my view, dystopian extreme, we could see providers becoming something akin to learning hotels and concierges, helping students experience the best education from across the world and accumulating credits throughout their chosen learning journey – and if this is the future, why do these providers need to be UK-based? We don’t expect this will be the prevalent model as we think the human aspect of learning, especially in a campus setting, is a key part of many people’s transition into adulthood, as well as the value that is added by the social aspects of learning new skills and knowledge. The potential of Education 4.0 is huge. Imagine if universities all pull together to harness the power of this technology for good? A lot is already in motion and other sectors have undergone radical transformation. Indeed, I’ve personally been involved in developing many of the banking techniques we take for granted today. I regularly pay for things with my watch, which I know would have been laughed at only ten years ago when one of my teams pioneered contactless payments. So, what are the implications for universities and how will lecturers evolve to acquire the skills and attitudes they will need in this world? Teachers will primarily serve as mentors/wisdom givers, comfortable with bought-in teaching content. Then there’s lifelong learning – is this something universities want to embrace? How about bypassing traditional assessment through using micro-credentials, which would recognise prior learning and competencies? Importantly, how will universities differentiate themselves in this new world when technology could be a driver towards uniformity? There’s lots to think about. It is time that education is transformed: students will expect it, and, in a global education market, the UK could lose out if the sector does not act. At Jisc, we are working to make this happen, and we encourage universities and colleges to collaborate with us to prepare their institutions for this journey. If we don’t, someone somewhere else in the world will, risking the UK’s reputation for being a world leader in education. If you would like further information on this topic or about PICTFOR’s programme of events, please get in touch!